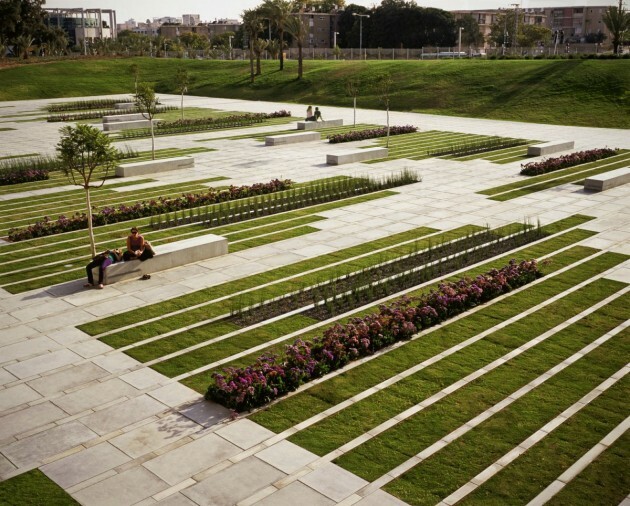 Chyutin Architects designed a landscaped square at Ben-Gurion University in Beer sheba, Israel. 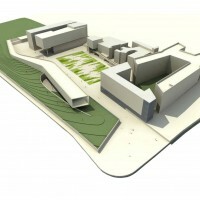 The square serves as an entrance gate to the western side of the campus, surrounded by existing buildings and the future Negev Gallery. 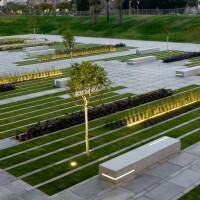 The square offers an outdoor space for cultural and social activities for students and for the city population. 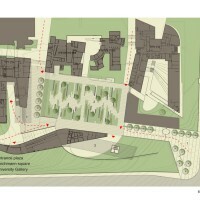 The square is bordered by the elongated structure of the gallery facing both the city and the campus. 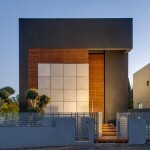 Towards the city, the gallery’s continuous façade (160 meter in length) unifies the heterogeneous appearance of the existing buildings behind the gallery into a cohesive urban unit. 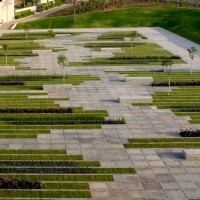 The city façade is accompanied by a sculpture garden creating a green edge to the campus. 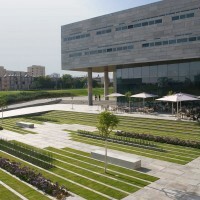 The two story high monolithic body of exposed concrete emerges from lawny topography of the northern part of the campus and hovers above an entrance courtyard in the southern part, where it appears to be leaping towards the urban space. 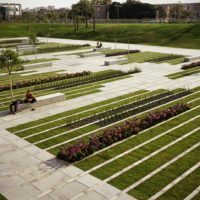 The gallery hosts exhibition spaces, museology faculty, workshops and auditorium contributing to the outdoor activities on Deichmann Square. 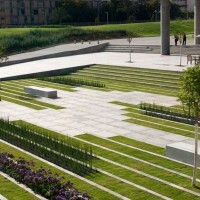 Since the square was designated to accommodate intensive congregation of youth and students, the preferred solution was to allocate limited areas for vegetation. 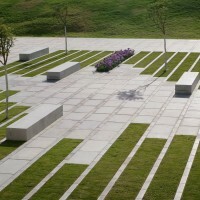 The design of the square with various elements of exposed concrete connects the surrounding buildings both physically and visually, accentuating their common features. 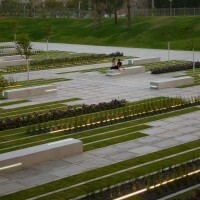 The square appears as a carpet of integrated strips of concrete paving, vegetation and lighting with concrete benches and trees scattered randomly. 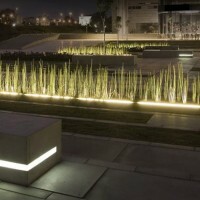 The strips of vegetation consist of lawn, Equisetopsida and seasonal plants. 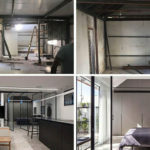 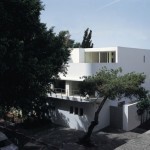 Visit the Chyutin Architects website – here.